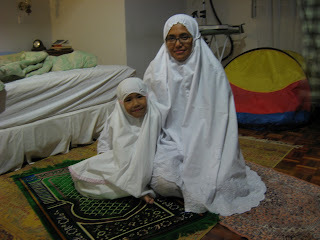 When we were little, my Mak used to make our baju kurung & baju melayu herself, because we were poor. She sewed a lot given that she had 9 kids (just multiply with the number of hari rayas). So like mother like daughter, I tried my hands on making a baju kurung and a telekung for my daughter. The sewing started sometime ago. But instead of finishing them in a few hours, they ended up being abandoned since I started working in KL. 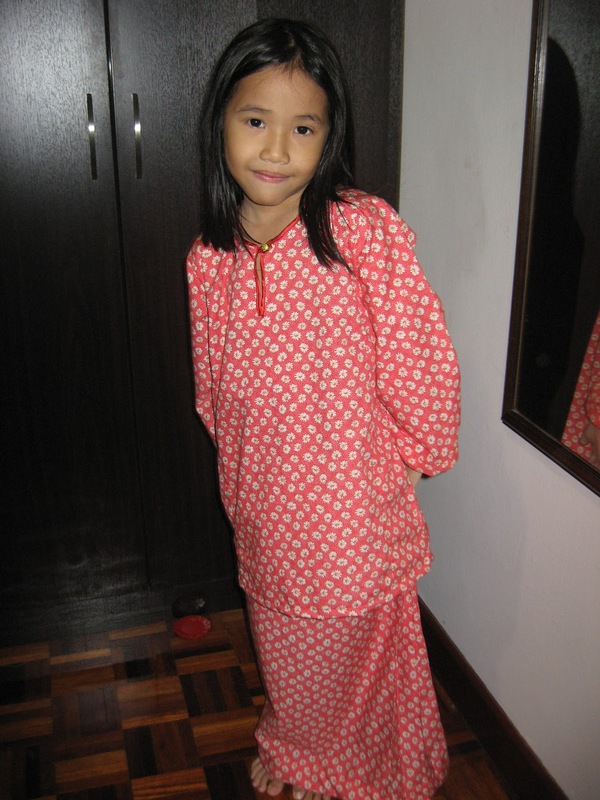 The baju kurung was my first ever attempt, made from a RM3/meter cloth from Nagoya. I used 1 1/2 meters for it. Aisya loves it, saying that she could easily wear it and take it off herself. 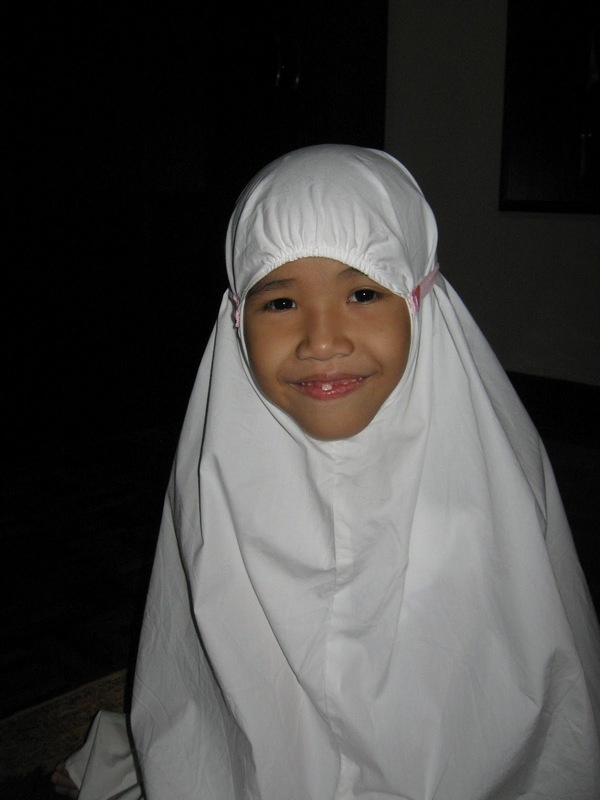 She can now wear that to her mengaji class. The sewing was not that difficult but I no longer have the time to do it. Next time, I'll just ask my tailor in kampung who can do a better and faster job. I am proud that I tried my hand on it and the outcome was not too shabby I think.